So Drake and Sophie Brussaux really didn't have dinner after the rapper's show. Last week Brussaux posted photos of herself attending Drake's Assassination Vaction Tour in Paris, and she also posted a video that looked like she was having dinner with him afterwards. But TMZ reports the guy in the video wasn't Drizzy, just a look a like and Brussaux shared it to have people think she and the rapper were hanging out. Brussaux supposedly did it for clou, which doesn't seem necessary since she and Drizzy have reportedly been getting along and doing a great job at co-parenting. 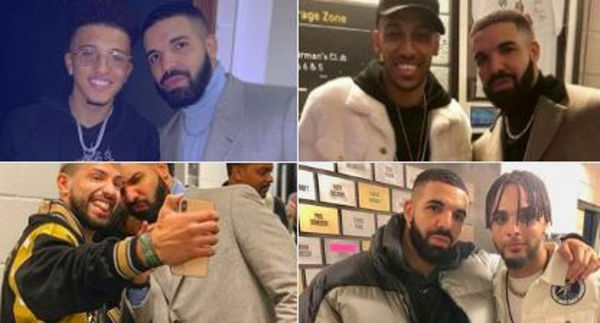 Check out the video below and you can see how much the guy Brussaux had dinner with looks like Drake.